Welcome to Ace PSAT/SAT/ACT Prep. courses. Our Academy lectures on classroom based courses. We help students prep for the SAT, ACT and PSAT. 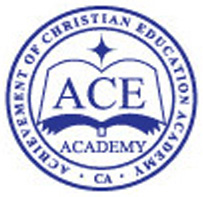 Ace Academy lectures SAT or ACT in three different levels. For students who need to learn all mathematical and verbal material on the SAT or Act, with particular emphasis on unique categorical approach to the content of the test. Recommended for beginners with test scores less than 1200 or 25(ACT). This course consists of ~60% lecture, ~30% test and review, and ~10% individual attention to strengthen areas of weakness. For students who know basics and want to strengthen areas like reasoning, test skills and problem solving. Recommended for those who have taken SAT course with test scores between 1200 and 1500 or 26 and 33(ACT). This course consists of ~30% lecture, 40% test and review, and 30% individual attention to strengthen areas of weakness. For students who have test scores higher than 650 or 30(ACT) in Math and Critical Reading or Writing. This course contains ~10% lecture, ~40% test and review, and ~50% individual attention. • Saturday classes are available during school day. • Private tutoring is available on weekdays. • Walk – In counseling is welcomed.